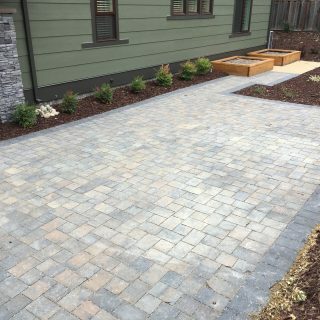 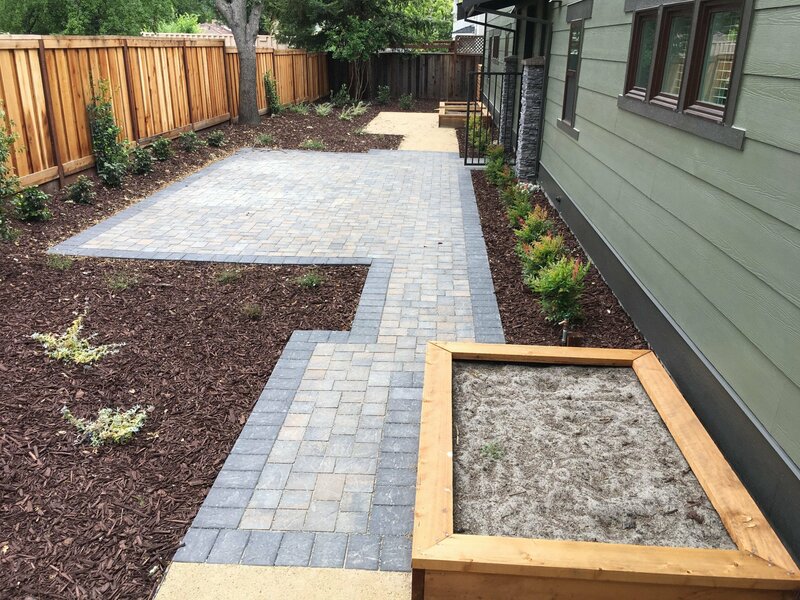 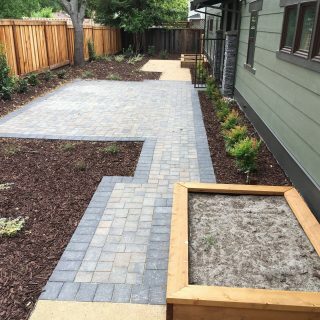 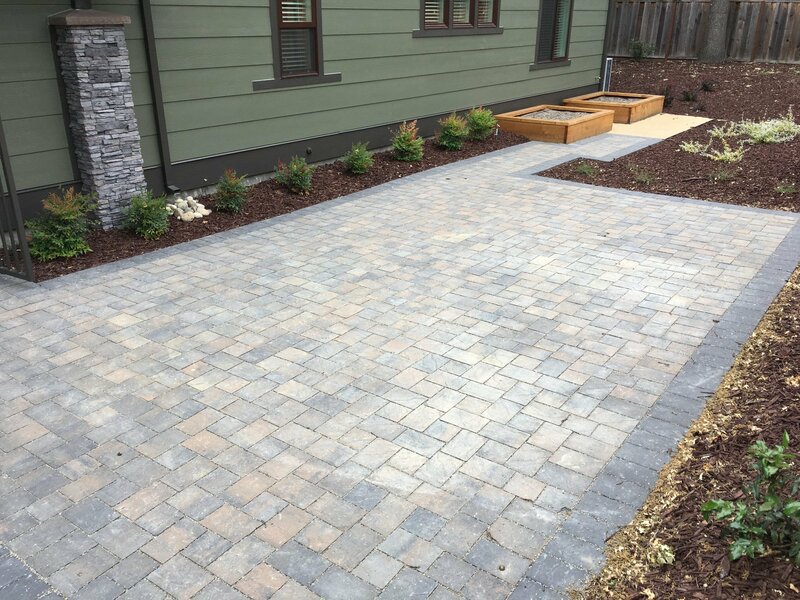 Forever Greens installed these environmentally-friendly permeable pavers at Geary Townhouse in Walnut Creek, California. 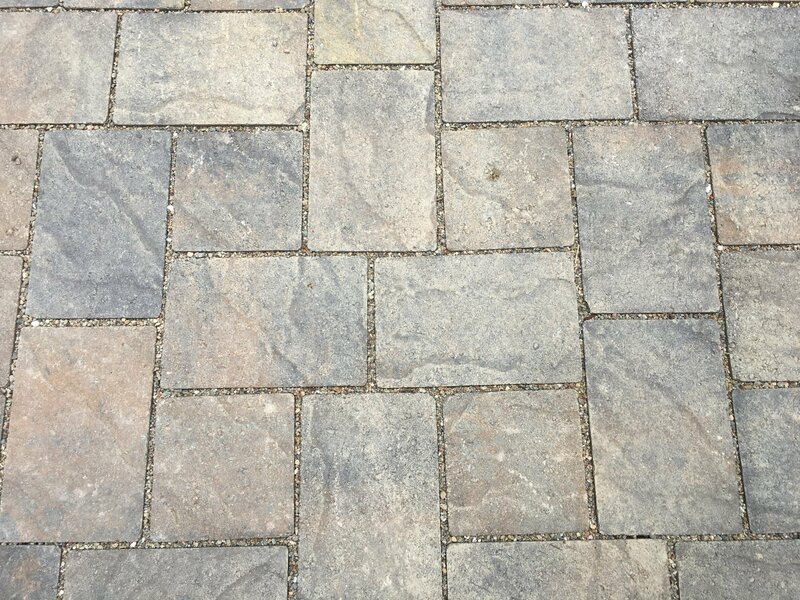 They are Basalite Permeable Artisan Slate pavers installed in a interlace-pattern in positano color. 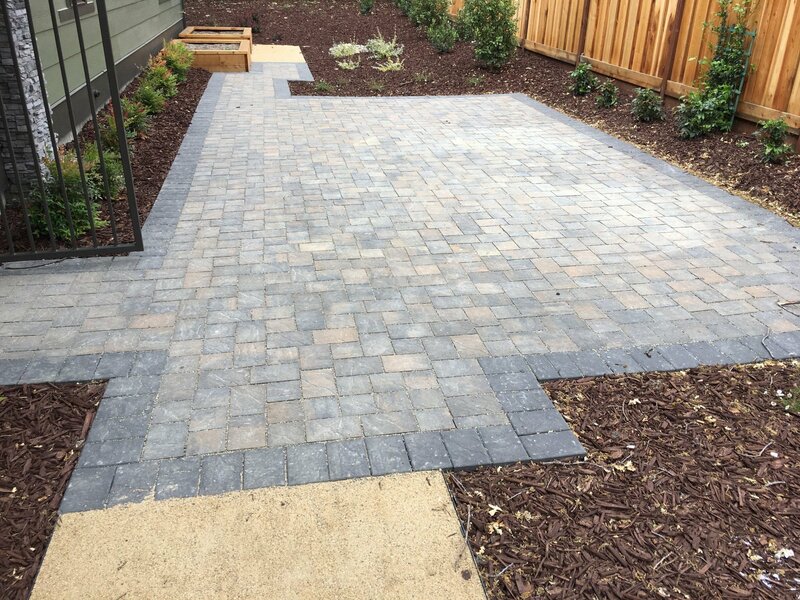 The border was done in Basalite Artisan Slate Border pavers in charcoal color. Permeable pavers allow stormwater to drain freely. 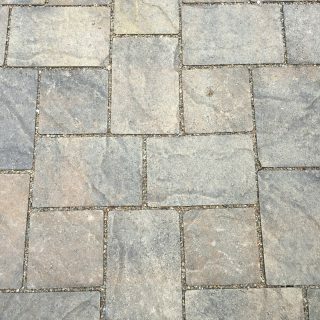 See them in action below.